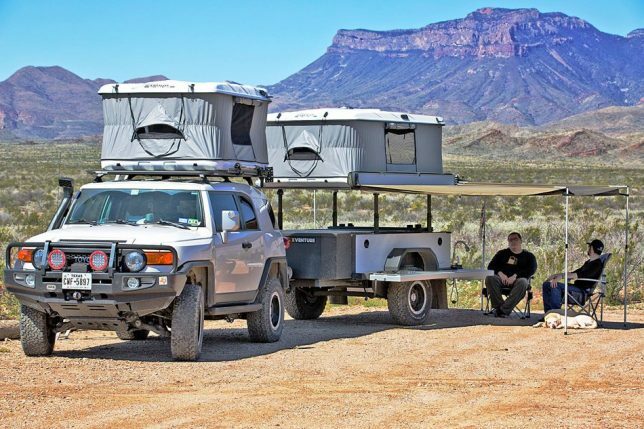 If the standard camping trailer just isn’t extreme enough for you, maybe a compact ‘bug out trailer’ with monster wheels, a full kitchen and a pop-up roof tent will satisfy your survivalist impulses. 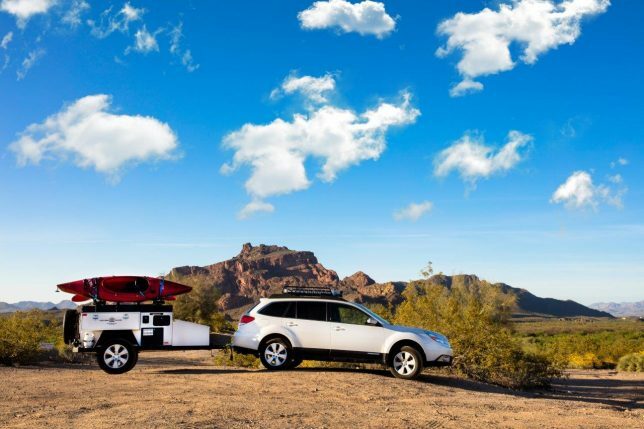 Designed for adventurous off-roading types, these trailers are designed to facilitate max comfort no matter how far out into the wilderness you may wander. 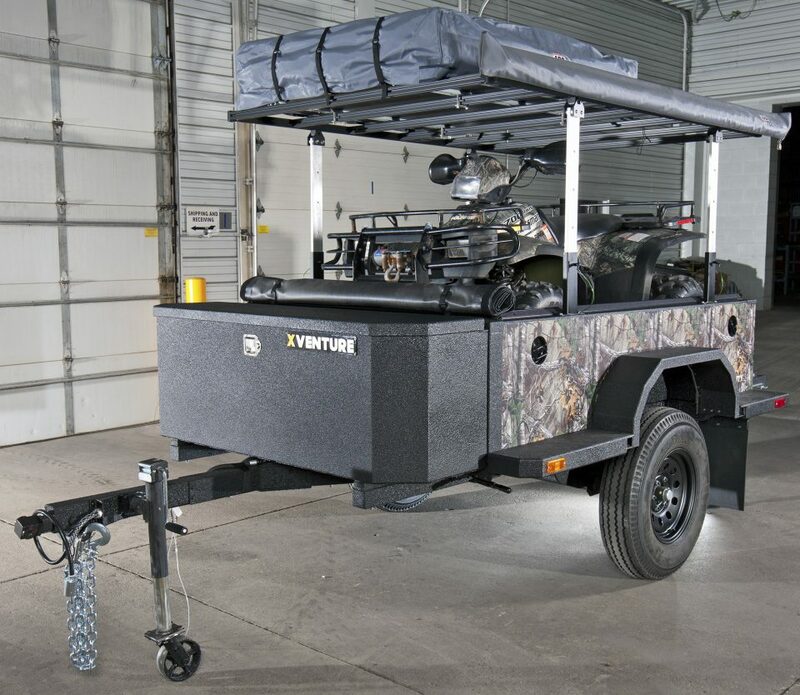 From the same company building trailer platforms for the armed forces comes the ‘Xventure,’ a severe-duty trailer packed with military-grade gear. 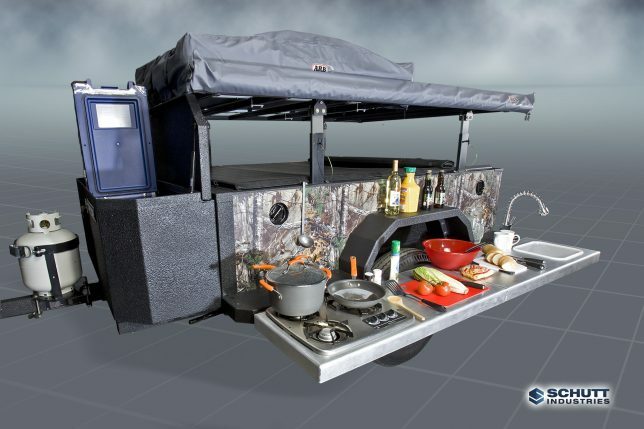 It’s got an all-aluminum weldless construction, electric brakes, a removable tailgate offering a heavy-duty work surface and a large front utility cabinet holding jerry cans, tools, lighting equipment and more. 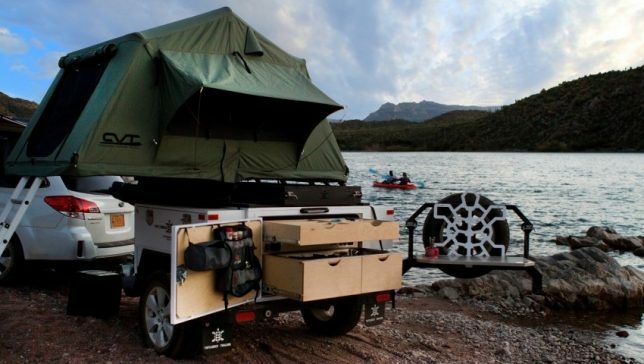 Made in Phoenix, Arizona, the Turtleback Weekender is a lightweight aluminum trailer with marine-grade electrical components, Lockable exterior compartments, cargo rack, kitchen, shower and more. 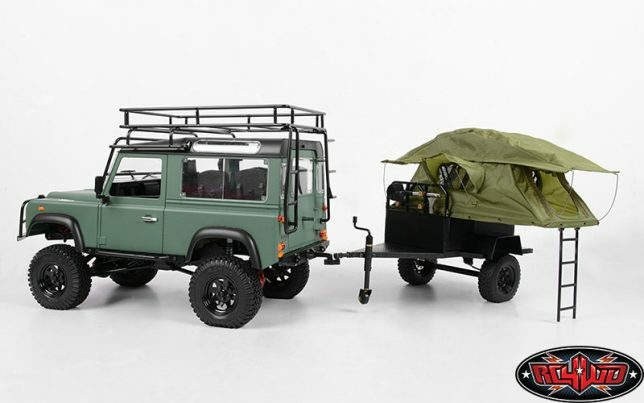 It has a small frame to fit standard family vehicles, so you don’t need a huge beefy truck to transport it. 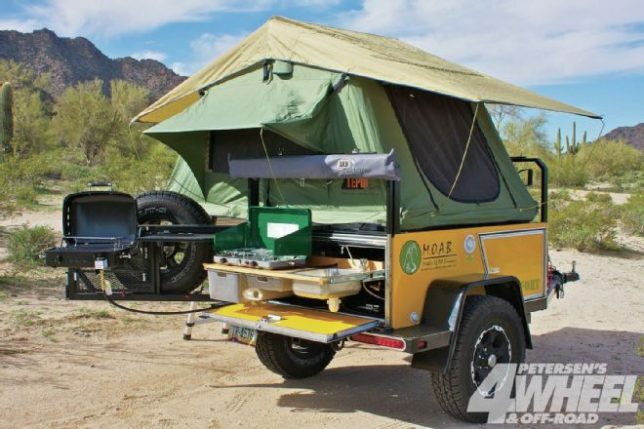 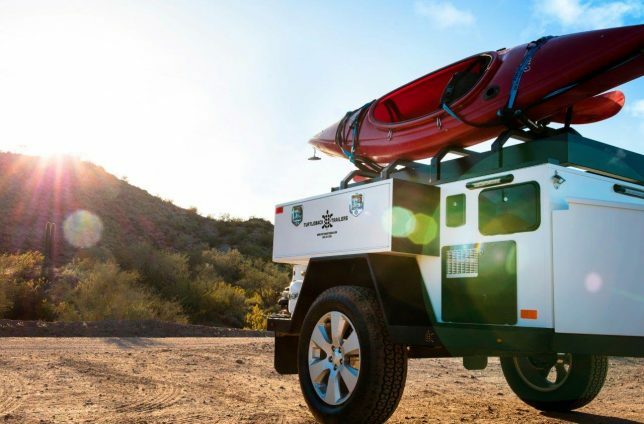 Use the roof rack to carry items like kayaks, and as an elevated tent platform. 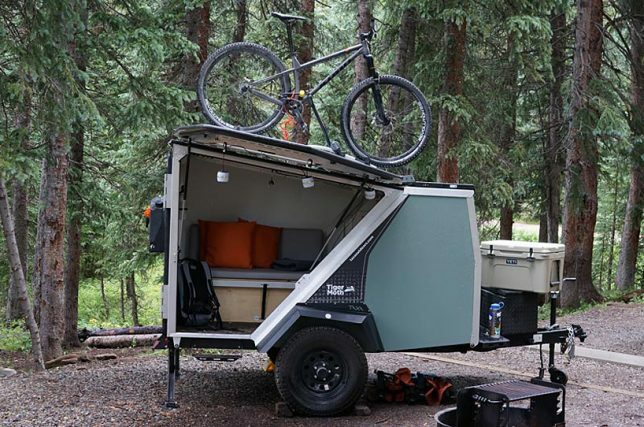 This compact trailer is a workhorse, taking you off-grid in comfort while weighing just 900 pounds so it can be towed just about anywhere. 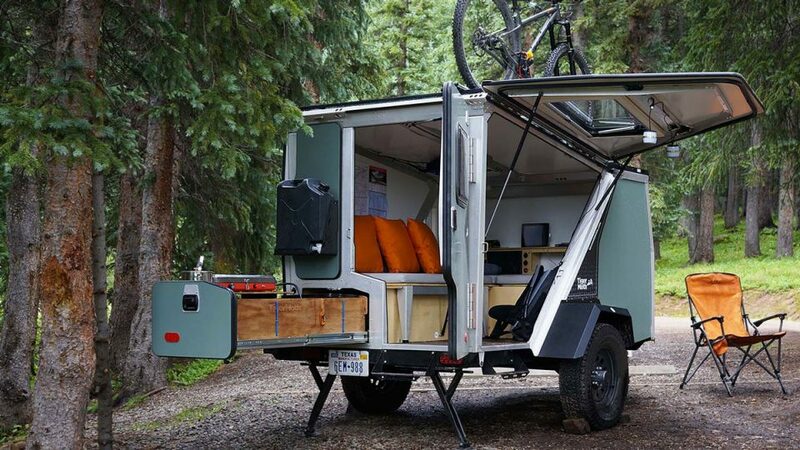 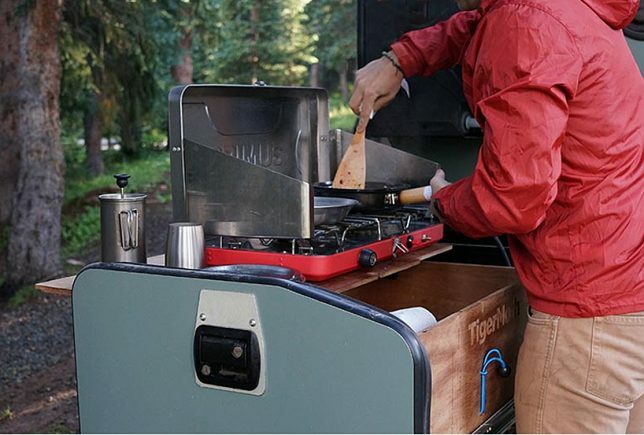 The Tigermoth camping trailer boasts a side-hatch entrance, built-in LED lights, running water, power outlets, USB ports, a mounted toolbox, roof racks, cargo decks in the front and the back, and optional solar panels. 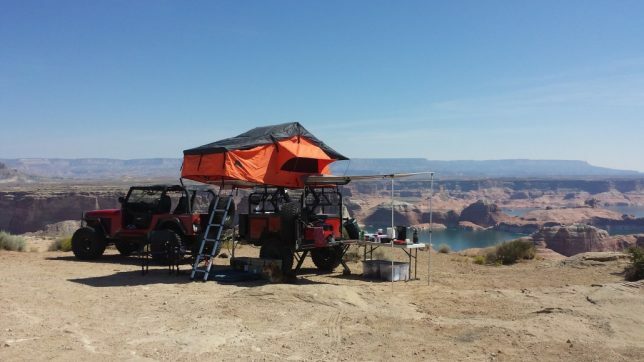 “Designed to go beyond pavement where camp sites are declared, not rented,” the Moab Fort by Bivouac Camping Trailer makes off-grid exploration more comfortable without requiring a huge, bulky setup. 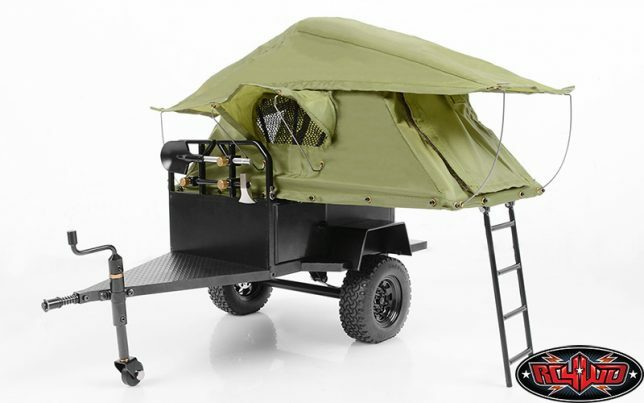 It’s a small utility trailer packed with cargo space for bikes, canoes, tents, propane tanks and any other gear you want to bring along. 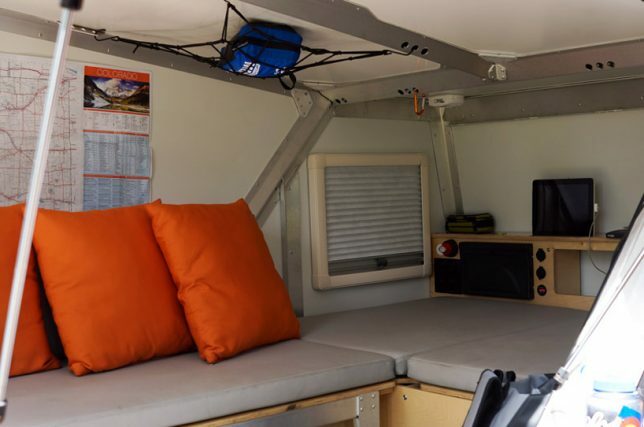 Various parts extend outward, like tables and sun shades. 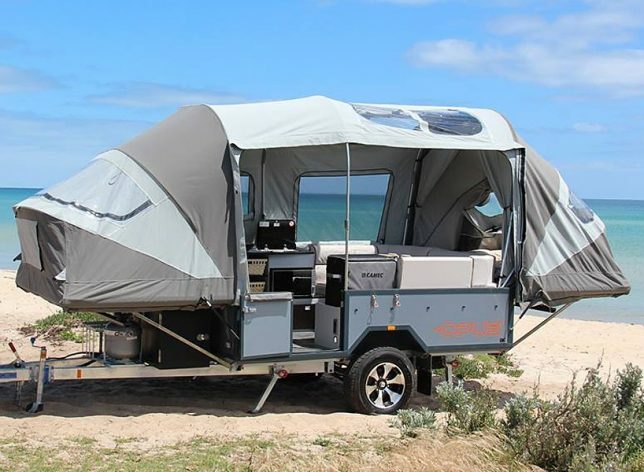 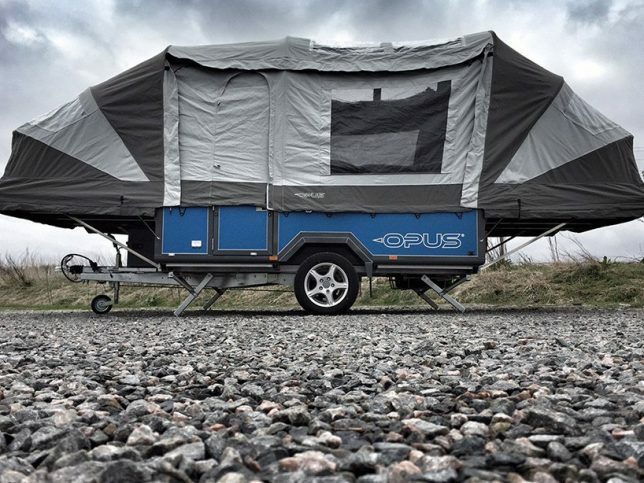 The inside of this camper trailer is surprisingly swanky given its low profile, and unlike traditional pop-up camper trailers, the OPUS self-inflates within 90 seconds into a well-ventilated multi-room space. 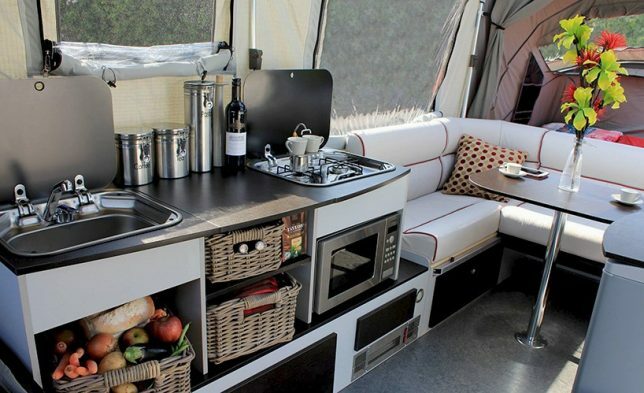 The full setup includes a kitchen with a stove, sink and refrigerator and a seating area that converts into a bed.